List CDC’s recommendations for increasing HPV vaccination. Identify and implement the “same way, same day” approach to HPV vaccination for all 11 and 12 year olds in the clinical health care setting. Model evidence-based communication approaches when talking with 11 and 12 year olds and their parents about the importance of HPV vaccine. Introduce 2 new practice tools to help support HPV vaccination in the clinical health care settings. 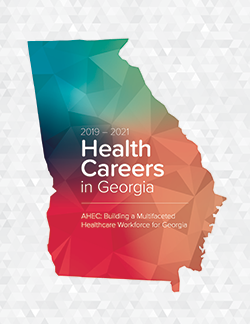 SOWEGA-AHEC is an approved provider of continuing nursing education by the Alabama State Nurses Association, an accredited approver by the American Nurses |Credentialing Center’s Commission on Accreditation. This educational activity awards 1.0 contact hour. Activity #2015-04B. Provider Approver #5-157. Nursing hour available until November 5, 2017. This activity has been planned and implemented in accordance with the Essential Areas and policies of the Accreditation Council for Continuing Medical Education through the joint providership of the Medical College of Georgia at Georgia Regents University and Southwest Georgia Area Health Education Center. The Medical College of Georgia at Georgia Regents University is accredited by the Accreditation Council for Continuing Medical Education to provide continuing medical education for physicians. The Medical College of Georgia at Georgia Regents University designates this live activity for a maximum of 1.00 AMA PRA Category 1 Credits™. Physicians should claim only the credit commensurate with the extent of their participation in the activity. EVALUATION must be submitted upon completion of program in order to receive CME/CE certificate. This educational activity has been funded by a grant from Healthcare Georgia Foundation through SOWEGA-AHEC’s participation in the HealthTecDL collaborative. SOWEGA-AHEC is a collaborative partner in the National AHEC Organization HPV Immunization Project.